• PLOT SUMMARY: 3-D Motion Cover. 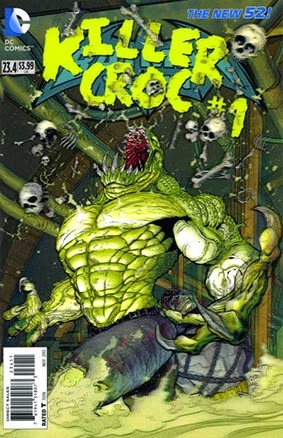 As the battle for Gotham City continues to build, the scales become unbalanced when the ferocious Killer Croc enters the fray! (W) Tim Seeley (A) Francis Portela (CA) Mick Gray, Patrick Gleason.